Decmil's Board of Directors is a dedicated group of exceptional professionals who drive the overall direction and strategy of the business. With proven expertise and experience across the construction, engineering, maintenance and service sectors and backgrounds in engineering and finance, the Board are well placed to lead our growing and diversifying business. David was appointed as a Non-Executive Chairman in March 2018. He has held Managing Director and CEO roles for the past decade, most recently with Lendlease as CEO of Construction and Infrastructure Australia. 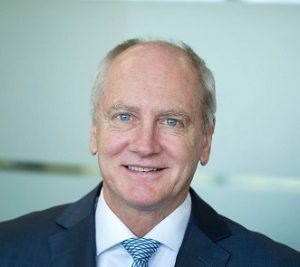 Prior to Lend Lease, David was with the Leighton Group for 18 years, where he held a number of senior positions, most recently as Managing Director of Thiess. In addition to these roles, David has held a number of senior positions on Industry Boards and was listed in the Top 100 Engineers in Australia for the past four consecutive years. Scott was appointed Chief Executive Officer in July 2009, and Managing Director of Decmil Group Limited in April 2010 and has been a Director of the Company since that time. He was previously the Managing Director of Decmil Australia. In this role he was responsible for the long-term growth and strategic direction of the Company, playing a key role in building relationships with stakeholders and clients. Scott joined Decmil Australia in 1993 as a construction labourer to gain experience and learn about the Company from the ground up. He held a variety of roles within Decmil Australia including Construction Manager, Estimator, Business Development Manager and Area Manager. Bill Healy was appointed as Non-Executive Director in April 2009 and appointed as Non-Executive Chairman in July 2014. Bill was a director and shareholder in Sealcorp Holdings from 1985 which then established and developed the diversified financial services group. 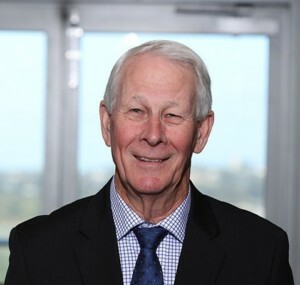 He was a founding director of ASGARD Capital Management Ltd, Securitor Financial Group Ltd, PACT Investment Group Pty Ltd and ASSIRT Pty Ltd. Sealcorp was acquired by St George Bank in 1997 and Bill remained on the Board until 1999. He was founding director and Chairman of BOOM Logistics Ltd and was involved in the development of the Company’s business model, early acquisitions and preparation for listing in 2003. Don was appointed as Non-Executive Director of Decmil in March 2018. Don was the Director Finance and Administration for the Thiess Group, one of the largest integrated engineering and services providers in Australia and South East Asia. 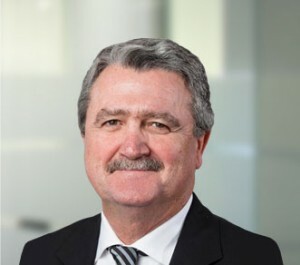 He joined Thiess Pty Ltd in 1985 following six years’ service with Thiess Holdings Ltd in the late 1970’s, and until he retired in July 2011, played an instrumental part in the growth of Thiess from a family-run business to a leading Australian construction, mining and services company. Don holds a Bachelor of Commerce degree, is a Certified Practising Accountant and a Fellow of the Australian Institute of Company Directors. Dickie was appointed as Non-Executive Director of Decmil in July 2018. In February 2019, he joined us as Executive General Manager – North West. 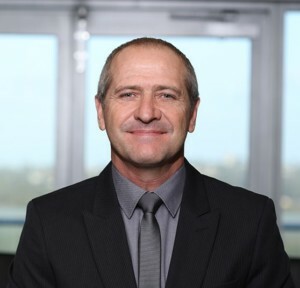 Dickie has 25 years’ experience in senior executive and management roles in construction businesses and is a respected leader in the Western Australian construction industry. A registered builder in a number of states in Australia, Dickie’s experience covers the commercial, civil, residential, mining and modular sectors. Dickie is very familiar with the Decmil business, having held the roles of General Manager and Chief Operating Officer for the Decmil Group until 2011, and was a key driver to significant periods of growth during his tenure with the Group. Prior to re-joining Decmil, Dickie was a Director at Pindan Contracting. He also sits on the Board of GO2 People Ltd, a leading provider of vertically integrated recruitment and building services to industry throughout Australia.